Tangy yet sweet jam made from organically grown rosehips - the fruit of the rose plant which is one of the richest plant sources of vitamin C content available. All our products are handmade using the traditional 'open pan' cooking method and are low in sugar. As well as being organic, they are also vegan and non-GMO. A single teaspoon of rosehip pulp provides more than the RDA of 60ml of vitamin C, is a great immune system booster and can also be beneficial for osteoarthritis, thanks to its anti-inflammatory properties. Available in two jar sizes. 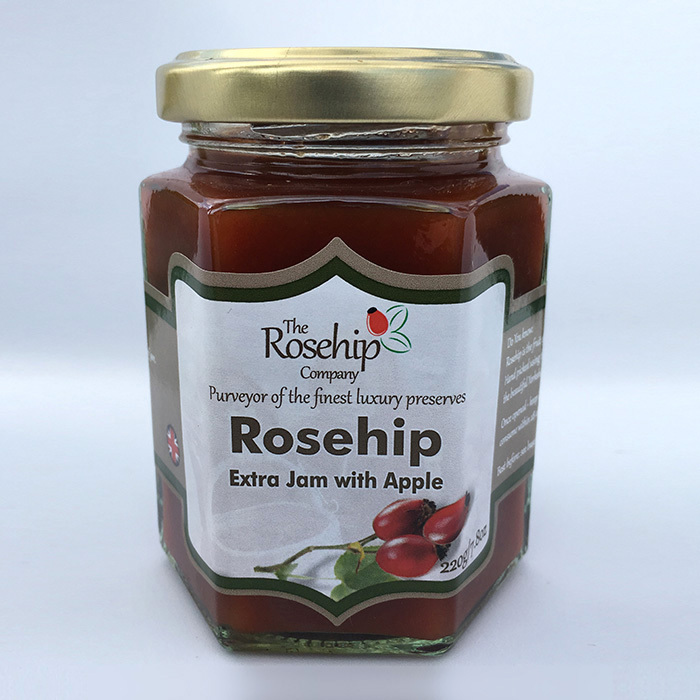 This product is dispatched by The Rosehip Company. This item has a shipping weight of between 280g and 340g depending on the options selected.